Tamang Heritage with Langtang Valley Trek is an exciting combination of two fabulous trekking destinations in the Langtang region of Nepal. You will be culturally rewarded by the Tamang ethnic lifestyles, traditions and hospitality that will be accompanied by the breathtaking Himalayan vistas of Mt. Langtang Lirung and several Tibetan peaks. The trek begins from Syaphrubesi, which is a gateway of the Langtang region and leads you through the Tamang Heritage Trail via Gatlang and Tatopani. It is a unique experience to avoid the motor road and enjoy the peaceful trail with ethnic culture and hospitality. 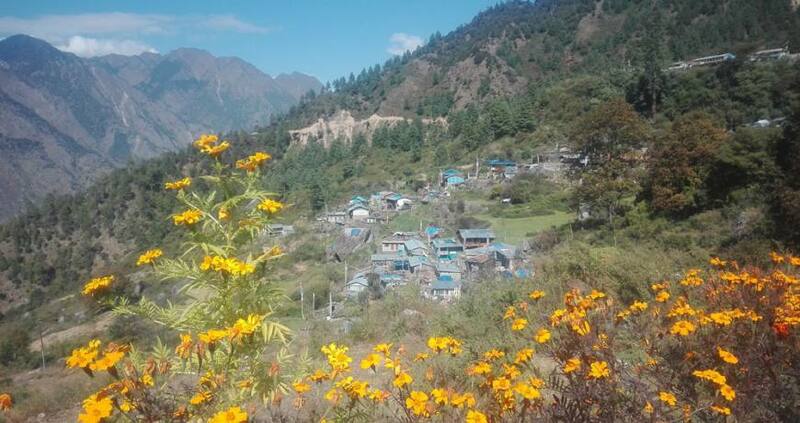 Home stay facility further allures you in Tamang Heritage trekking route. The trail adjoins with the Langtang trail from Lama Hotel, which leads you to the Langtang valley and Kyanjin Gompa. Tamang culture and Himalayan views are perfect to get enticed. 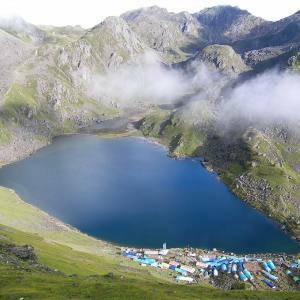 The trek can be extended towards the Gosaikunda lake, if you want to customize the Langtang valley with Tamang Heritage trek. Day 01: Arrival in Kathmandu (1350m), transfer to hotel. Day 03: Drive from Kathmandu to Syabrubesi (1550m): 8-9 hrs. Day 04: Walk from Syabrubesi to Gatlang (2200m): 5-6 hrs. Day 07: Walk from Thuman to Briddim (2345m): 6 hrs. Day 08: Walk from Briddim to Lama Hotel (2470m): 6 hrs. Day 09: Walk from Lama Hotel to Langtang village (3430m): 6-7 hrs. Day 10: Walk from Langtang village to Kyangjin Gompa (3,870m): 4 hrs. Day 11: Walk back to Lama Hotel (2380m): 4-5 hrs. Day 12: Walk from Lama Hotel to Syabrubesi (1,550m): 5 hrs. Beside our fixed departures, we are also able to organize the trip on your suitable schedule. Please, feel free to contact us. Day 01Arrival in Kathmandu (1350m), transfer to hotel. Day 03Drive from Kathmandu to Syabrubesi (1550m): 8-9 hrs. Day 04Walk from Syabrubesi to Gatlang (2200m): 5-6 hrs. Day 07Walk from Thuman to Briddim (2345m): 6 hrs. Day 08Walk from Briddim to Lama Hotel (2470m): 6 hrs. Day 09Walk from Lama Hotel to Langtang village (3430m): 6-7 hrs. Day 10Walk from Langtang village to Kyangjin Gompa (3,870m): 4 hrs. Day 11Walk back to Lama Hotel (2380m): 4-5 hrs. Day 12Walk from Lama Hotel to Syabrubesi (1,550m): 5 hrs. Day 13Drive back to Kathmandu. After the trek, you may be interested in Chitwan Jungle Safari Tour. It is the most popular wildlife safari trip in Nepal.